Hyon E. Choy / Ph.D.
1983 – 1989 University Of California, Davis (USA), Ph.D. in Microbiology. 1998 – 2001	Dept. 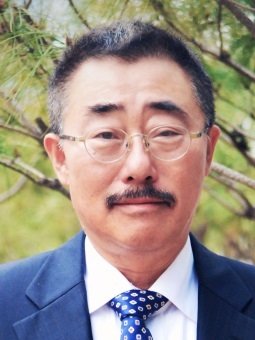 of Biochemistry, Dankook University Medical School, Associate Professor. - Lee SH, Nam TS, Kim KH, Kim JH, Yoon W, Heo SH, Kim MJ, Shin BA, Perng MD, Choy HE, Jo J, Kim MK, Choi SY. Aggregation-prone GFAP mutation in Alexander disease validated using a zebrafish model. BMC Neurol. 2017 Sep 7;17(1):175. doi: 10.1186/s12883-017-0938-7. - Lee SH, Nam TS, Li W, Kim JH, Yoon W, Choi YD, Kim KH, Cai H, Kim MJ, Kim C, Choy HE, Kim N, Chay KO, Kim MK, Choi SY. Functional validation of novel MKS3/TMEM67 mutations in COACH syndrome. Sci Rep. 2017 Aug 31;7(1):10222. doi: 10.1038/s41598-017-10652-z. - Lim D, Kim KS, Kim H, Ko KC, Song JJ, Choi JH, Shin M, Min JJ, Jeong JH, Choy HE. Anti-tumor activity of an immunotoxin (TGFα-PE38) delivered by attenuated Salmonella typhimurium. Oncotarget. 2017 Jun 6;8(23):37550-37560. doi: 10.18632/oncotarget.17197. - Zheng JH, Nguyen VH, Jiang SN, Park SH, Tan W, Hong SH, Shin MG, Chung IJ, Hong Y, Bom HS, Choy HE, Lee SE, Rhee JH, Min JJ.Two-step enhanced cancer immunotherapy with engineered Salmonella typhimurium secreting heterologous flagellin. Sci Transl Med. 2017 Feb 8;9(376). pii: eaak9537. doi: 10.1126/scitranslmed.aak9537. - Jeong JH, Kim K, Lim D, Kim KH, Kim HS, Lee S, Song JH, Moon BG, Choy HE, Park SC. Microvasculature remodeling in the mouse lower gut during inflammaging. Sci Rep. 2017 Jan 3;7:39848. doi: 10.1038/srep39848. - Kim DK, Kim YH, Jung YS, Kim KS, Jeong JH, Lee YS, Yuk JM, Oh BC, Choy HE, Dooley S, Muckenthaler MU, Lee CH, Choi HS. Orphan nuclear receptor SHP regulates iron metabolism through inhibition of BMP6-mediated hepcidin expression. Sci Rep. 2016 Sep 30;6:34630. doi: 10.1038/srep34630. - Choi SM, Jeong JH, Choy HE, Shin M. Amino acid residues in the Ler protein critical for derepression of the LEE5 promoter in enteropathogenic E. coli. J Microbiol. 2016 Aug;54(8):559-64. doi: 10.1007/s12275-016-6027-6. Epub 2016 Aug 2. - Park SH, Zheng JH, Nguyen VH, Jiang SN, Kim DY, Szardenings M, Min JH, Hong Y, Choy HE, Min JJ. RGD Peptide Cell-Surface Display Enhances the Targeting and Therapeutic Efficacy of Attenuated Salmonella-mediated Cancer Therapy. Theranostics. 2016 Jun 20;6(10):1672-82. doi: 10.7150/thno.16135. eCollection 2016. - Lee EJ, Park KS, Jeon IS, Choi JW, Lee SJ, Choy HE, Song KD, Lee HK, Choi JK. LAMP-3 (Lysosome-Associated Membrane Protein 3) Promotes the Intracellular Proliferation of Salmonella typhimurium. Mol Cells. 2016 Jul;39(7):566-72. doi: 10.14348/molcells.2016.0112. Epub 2016 Jun 21. - Kim JE, Phan TX, Nguyen VH, Dinh-Vu HV, Zheng JH, Yun M, Park SG, Hong Y, Choy HE, Szardenings M, Hwang W, Park JA, Park S, Im SH, Min JJ. Salmonella typhimurium Suppresses Tumor Growth via the Pro-Inflammatory Cytokine Interleukin-1β. Theranostics. 2015 Oct 6;5(12):1328-42. doi: 10.7150/thno.11432. eCollection 2015.